‘Dermatitis’ is a red, itchy, flaky (inflamed) skin; ‘seborrhoeic’ means that the rash affects greasy (sebaceous) skin zones such as the face, scalp and centre of the chest. 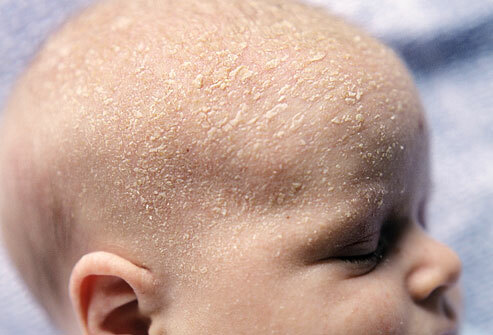 Seborrhoeic dermatitis is very common in babies and presents as cradle cap of the scalp, a raw, red rash in the nappy area as well as an inflamed skin in the flexures (for example in the neck or under the arms). We understand how distressing and worrying it is for new parents to deal with a new baby, never mind adding a skin condition into the mix! We will spend time explaining how to treat your child’s seborrhoeic dermatitis, always maintaining realistic expectations in terms of simplifying treatments for busy parents and reluctant children! So that you can get back to the more important task of just enjoying every precious second with your new addition.